Scotland is renowned for its grand mountains, its golden sands on the east coast and its silver sands on the west coast, its wildlife, its castles, its produce; but it has so much more to offer both indoors and outdoors. Here you will find many outdoor activities for young and old alike depending on your physical abilities or lack of same. 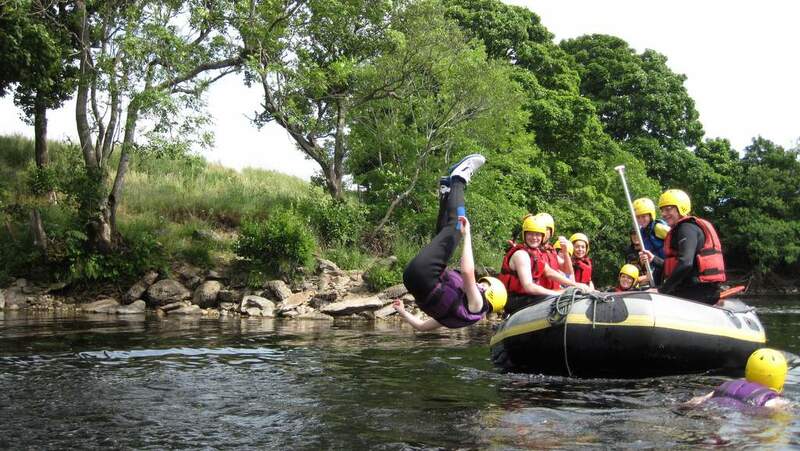 Hill walking, mountain climbing, white water rafting, skiing in winter are within easy reach of any B&B. Art galleries, theatres and cinemas are found in cities, while you might come across vintage car rallies, game fayres, bird displays, plays by travelling actors in the grounds of stately homes or castles. 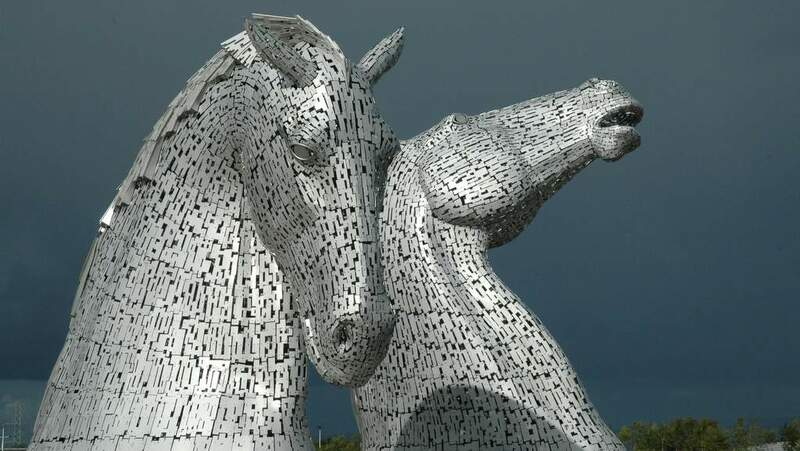 The wonders of modern technology like the Falkirk Wheel and sculptures such as the famous Kelpies nearby show the expertise and innovation that has always been the mark of Scottish ingenuity. So rain or shine you will find something to keep you entertained wherever you are in Scotland. Your B&B host will have an intimate knowledge of what is a “must see” in the area. With its steam and diesel trains the railway runs on a restored 4 - mile long line between a Victorian terminus stations in the centre of Brechin to the country station near the historic House of Dun. 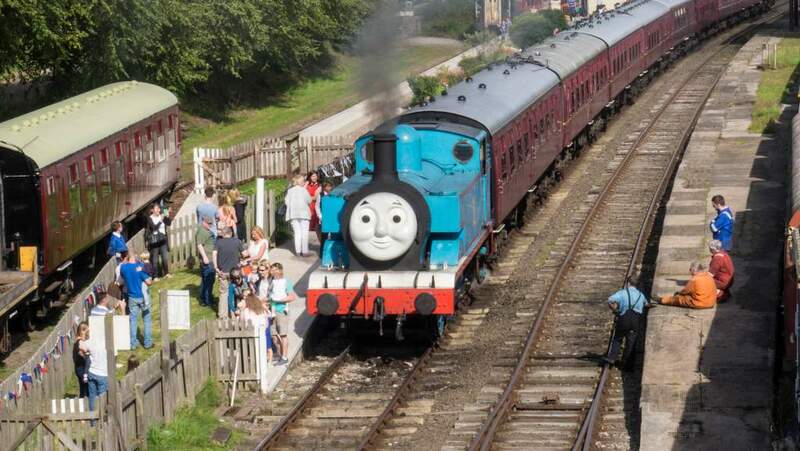 At weekends in summer passengers can enjoy the pleasant Angus countryside, while children can have an exciting day out with 'Thomas the Tank Engine' on special days. Tobermory is the colourful capital of the Isle of Mull which you have probably seen in guide books, but never knew where it was. The shops and restaurants along the harbour have been painted in many cheerful colours which have made it a popular tourist destination as well as a well used film location the childrens' television programme 'Balamory' was filmed here. Obviously the island can only be reached by ferry, but it is close enough to the mainland for a day trip, and there is enough on the Island to keep you occupied for much longer. Several boat operators can take you out from Tobermory to look for seals, porpoise, dolphins and whales which are frequently seen in the sea around Mull. Racing in Ayr started in the 1500s, but the first official meeting took place in 1771 in the Seafield area of the town and was a mile oval with sharp bends. During the 1800s the Western Meeting was established and was classed as the most valuable two-year-old race of the season in the UK. The Ayr Gold Cup, part of the Western Meeting, is now the richest sprint handicap in Europe. A new course based on that of Newbury was opened in 1907 and a jumps track added in the 1950s and the Scottish Grand National was transferred to the current site in 1966. Enjoy spectacular racing and hospitality at Scotland’s 5 star, Grade 1 track visitor attraction, including fine dining restaurants and stylish bars. Situated on the west coast and located by the very pretty Irvine harbourside the centre is a multi-purpose venue hosting a variety of events and exhibitions. There is a vibrant programme of live music, comedy, amateur and professional theatre and exhibitions throughout the year for all the family. Visit the two multipurpose studios and enjoy the views over the harbour with a ‘lite’ bite or coffee at the Hacbar adjacent to the centre. A great day out for all the family in Ayr whatever the weather. From toddlers to teens and even adults, there is plenty on offer. Visit the wide range of animals from Little Critters such as rabbits to the larger variety of camels, llamas and donkeys. Burn off some energy on the trampolines, boats, tractors, assault course or the aerial runway to mention but a few. Have fun on the Quad bikes suitable for all ages and if the weather is wet then there is plenty to see and do in the undercover Play n’ Wild adventure barn. Don’t forget the Play Zone for toddlers with slides, see-saws and many things to occupy little hands. Pop in to the ‘Scallywags’ coffee bar, or for something more substantial ‘Roosters’ restaurant or bring your own and have a picnic, benches and tables provided. Open 7 days a week from mid March to October. This bright and welcoming village in the south west of Arran is the home of the famous Isle of Arran Cheese which you can watch being made from a viewing gallery at the Torrylinn Creamery established in 1946. Although it is one village it comprises three parts, Torrylinn, Kilmory and Lagg, Kilmory being the oldest. The hidden gem, Kilmory Beach, can be found by taking the farm track at Torrylinn, or via ‘Lovers Lane’. A short circular walk will take you to what is possibly the best beach on Arran. Run by Zabdi Keen and her partner Maurice Geraghty, Flying Fever Paragliding was set up in 1993. There are over 30 flying sites on the island taking in all wind directions so why not try Paragliding whilst you are on the island. Start off with a Funday and get an aerial view of Arran flying tandem with an instructor, progress to Funday solo training or even a 5 day elementary pilots course. An exciting way to spend a holiday - learn to fly! The Caledonian Canal connects the North Sea and the Atlantic Ocean and four fresh-water lochs, Lochs Dochfour, Ness, Oich and Lochy and is the only canal capable of carrying ships of up to 500 tons from one side of the UK to the other. Built between 1803 and 1822 it was planned and supervised by Thomas Telford. Hire a motor cruiser or a yacht and travel along the 60 miles of the Great Glen, through fantastic scenery, superb fishing, under swing bridges, numerous locks culminating at Neptune’s Staircase, a flight of eight locks at Banavie, Fort William. Hunt for Nessie around the deep waters surrounding Urquhart Castle, visit the Falls of Foyers, Cherry Island - a Crannog – at Fort Augustus, the ruins of Invergarry Castle, the Well of the Seven Heads and look for Golden Eagles along Laggan Avenue between Loch Oich and Loch Lochy. As you arrive at Banavie you will see the majestic Ben Nevis. Shops, Restaurants, Inns can be found along the length of the canal. Lying between Aviemore and Kingussie lies Leault Farm where Neil Ross holds his Working Sheepdog demonstrations. Watch around 12 dogs herding the sheep and ducks, try your hand at shearing, bottle feed the orphan lambs, cuddle the puppies. Neil has appeared several times on “One Man and His Dog” and in the Scottish Sheepdog Trials”. This could be the highlight of your holiday. Souvenirs. Demonstrations - May to October daily. This Grade 111 listed building houses an exhibition, interpretive displays and life sized models giving an insight into how the Victorians experienced the Spa treatments provided by the Pump Room in Strathpeffer. From 1870 to 1939 it was one of Europe’s most popular health resorts and the high society of the day flocked to this pretty Highland village to experience all it had to offer. Enjoy the restored adjacent gardens and the nearby spa pavilion which is now home to art exhibitions. Bring back childhood memories by treating yourself at the Victorian sweet shop to some delicious old fashioned sweeties. Tourist Information point and shops all in a village setting. Free entry. Roger and Andrea moved from Mull in 2012 to set up Skye Weavers in the old family croft house in Glendale on the Isle of Skye. The colours and textures of mosses, grasses, rocks etc., feature in and give them inspiration for their designs. All woven products are 100% wool and range from scarves and throws to home wares and a small range of women’s clothing. Visit the weaving shed and see the fantastic array of colours come to life on their bicycle pedal-powered loom. Everything is woven and sewn in house. Follow the winding of the warp threads onto a home-built warping mill, made from a derelict Massey-Harris tractor rake and numerous bits and pieces. In the sewing room Andrea works her magic on her dressmaking creations. You will definitely be inspired by every item in their shop. Explore the history, wildlife and dramatic landscapes of Scotland’s most famous Glen at the National Trust for Scotland’s Visitor Centre. Interactive exhibition, audio-visual presentations, children’s activities, shop and café can all be found in the centre. 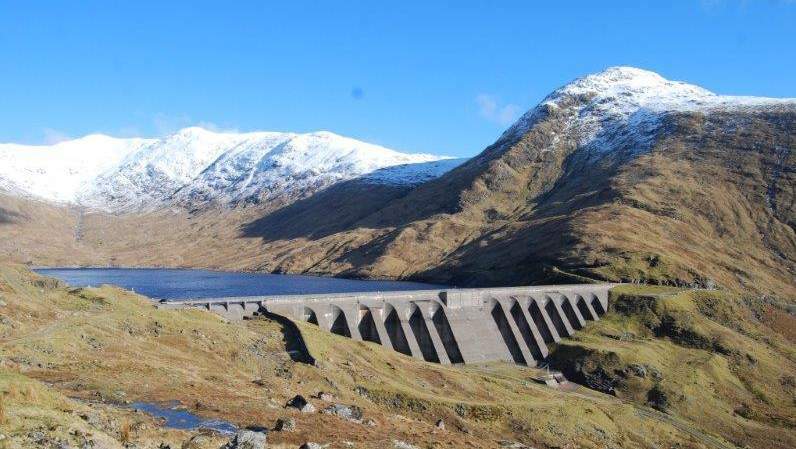 Enjoy walking or climbing one of the 8 munros in what is now regarded as one of the best ‘wild’ landscapes in Scotland. See the development of Glencoe over millions of years of geological and geomorphologic processes. Visit the site of the infamous massacre of 1692, feel the drama of its many myths, whilst keeping an eye out for golden eagles, red deer and pine martens. See how The Trust continually works on the habitat, footpath erosion, monitoring of species and maintains this wild landscape for your enjoyment. Open all year. Between 1947 and 1951 as part of the Hydro Electric scheme in the Highlands, the River Tummel was dammed, flooding the old Pitlochry recreation field and creating the man-made Loch Faskally. In order to enable the annual migration of 5000+ Atlantic Salmon to pass through the dam wall to spawn upstream the impressive Fish Ladder was constructed - 310 metres in length, it has 34 pools linked together by circular tubes through which the salmon swim. There are two viewing windows in one of three resting pools where the salmon have a short respite before continuing their journey. There is a counter at the side that records how many salmon pass through each season. Currently under construction and due to open autumn 2016 is a new £4 million Visitor Centre that will chronicle the story of the engineers who brought hydro power to Scotland together with details of the journey made by the salmon, as they return to native Perthshire rivers to spawn. On a visit to Pitlochry during the war, a gentleman called John Stewart made a promise to himself ‘When peace is declared I shall return to this spot to give thanks to God and establish my Festival’. On VE day, he spoke a silent prayer and vowed to fulfil his promise. Originally established in a weather-proof tent, Pitlochry Festival Theatre opened in May 1951 with the British premiere of Maxwell Anderson’s Mary of Scotland with Joss Ackland as Darnley. It moved to its present site at Port na Craig on the banks of the River Tummel, surrounded by the spectacular scenery of Highland Perthshire in 1981. Fondly known as ‘The Theatre in the Hills’, its unique repertoire system enables visitors to see different shows each night of the week and two on matinee days! Each year more than 60,000 people attend performances known for their high quality and wonderful sets and costumes. Situated north of Pitlochry on the A9, the House of Bruar is renowned for its excellent range of ladies and gents clothing, quality country wear, tweeds and cashmere. The Food Hall and Delicatessen showcase the best of fresh Scottish produce together with selected gourmet delights from across the globe. A delicious selection of cold snacks and hot meals are also available at very competitive prices in the spacious restaurant. While Heathergems jewellery and giftware can be purchased in shops throughout the UK, their manufacture is exclusive to Pitlochry. Made from heather stems collected from the surrounding hills and moor, the stems are cleaned, dyed, compressed, shaped, lacquered and finally fitted by artisans into silver and gold. The jewellery and giftware produced is unique to Scotland and makes the ideal present for friends and family. The Scottish Antique and Arts Centre, located at Abernyte, half way between Perth and Dundee offers a wonderful, eclectic mix of antiques and collectables together with an extensive range of contemporary furniture and soft furnishing. A selection of designer clothing and accessories together with a food hall selling quality produce is also on site. The Café Circa offers delicious homemade food and friendly service making it a perfect venue for a refreshment stop.